Robert Kaplan, Esq. has been an attorney with a practice concentrated in real estate law since 1985. Although he continues to provide counsel in other areas of the law, Mr. Kaplan prides himself on the ability to provide knowledgeable and authoritative counsel in the field of real property law including residential and commercial contracts and leases, real estate brokerage litigation, general counsel to cooperative and condominium boards, purchases, sales and refinancing of cooperatives, condominiums, single family and multi-family houses. As an attorney with a background in the related areas of brokerage, management, taxation and insurance, Mr. Kaplan blends legal expertise with business savvy. This rare combination enables him to approach problems from varied perspectives. Mr. Kaplan graduated from New York Law School, received his M.A. in Sociology from CUNY at Queens College and graduated with honors from SUNY at Buffalo. He was formerly with the Real Estate Financing Bureau of the Attorney General's office of New York which is the State agency chiefly responsible for the review of all cooperative and condominium offering plans established in New York. Mr. Kaplan was also associated with the Real Estate Department of the Wall Street law firm of Herzfeld & Rubin, P.C. 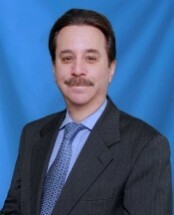 ROBERT KAPLAN, P.C. offers personalized service available at reasonable rates. Unlike the large, impersonal law firm, ROBERT KAPLAN, P.C. will not defer your matter to a clerk. All matters, large or small receive his personal attention. Most calls are answered within a few hours; all messages are returned by the next day.